In 2010, small businesses employed more than 20 million people in the United States. In Maryland, almost a fifth of all jobs come from businesses with less than 20 employees. Small businesses are a vital part of the economy. They are frequently the avenue where entrepreneurs are able to bring new goods and services to their communities. 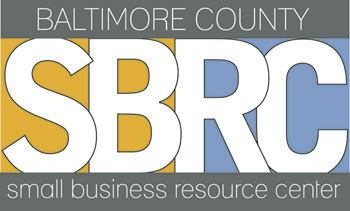 Recognizing the importance of small businesses, the Baltimore County Chamber of Commerce and the Baltimore County Department of Economic Development established the Small Business Resource Center in 1983 to serve the needs of small businesses in the Baltimore County area. For more than 30 years, the Small Business Resource Center has been a resource for entrepreneurs and small businesses in the Baltimore area. The SBRC has served more than 6,000 clients and helped the startup of more than 700 businesses since it was founded. The SBRC assists business owners with a variety of subjects relevant to starting a new business, or growing an established one. SBRC counselors have real world experience and success, and are able to assist with developing business plans, marketing, acquiring finances and more. The SBRC also works to keep clients informed of relevant changes within the business world by providing workshops, seminars and tutorials. For more information, contact a counselor today!